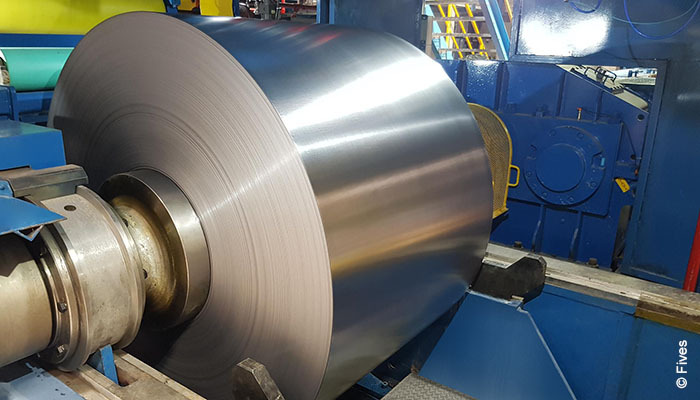 Shanghai STAL, a joint venture between USA’s Allegheny Ludlum and China’s Baosteel Group Corporation, specializes in manufacturing precision-rolled stainless strips. The company has contracted Fives to design, manufacture and supply a unique new 20Hi cold rolling mill capable of producing just over 80,000 metric tons per year. The design of the mill, which combines ultra-thickness and a full width, is currently unique in the world. The DMS 20Hi EcoMill will be able to roll strip down to 0.040mm and up to 1.2mm thick. Maximum strip width is 1,250mm, and the mill will be able to produce at the minimum thickness on the full width. The DMS 20Hi EcoMill features improved flatness control system, advanced roll gap lubrication and strip cooling technology, as well as easier maintenance. Shanghai STAL highlighted that it is delighted with the first coil results. Both companies are working together to accomplish final tests and sign a final acceptance certificate. The plant aims to produce ultra-thin stainless steels for high-end applications, such as smartphones, tablet computers, etc.